Please consider supporting The Umbrella's Building the Arts: A Campaign for Our Creative Community, an effort begun in 2015 to support our vision of becoming a valuable regional gateway to enriching and immersive experiences through the arts. We are grateful that since then, early donors have generously committed $18 million towards our $20 million campaign goal to transform our facilities to better support our our community’s access to and deep engagement in the arts through programs, including: 50 studio artists, superb youth and adult education, a unique arts and environment program, an award-winning theater program and concert series, gallery exhibitions and outdoor public art, and numerous community collaborations. 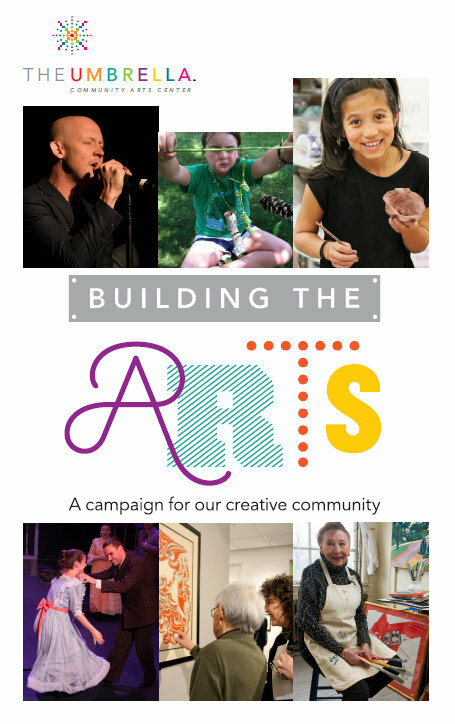 In this section, please find background about the "Campaign for Our Creative Community," and feel free to download, preview and share our most recent "Building the Arts" Update brochure by clicking to the right. 72 percent of business leaders say creativity is of high importance when hiring. The biggest creativity indicator? A college arts degree. Students with an education rich in the arts have higher GPAs and standardized test scores, lower drop-out rates, and even better attitudes about community service. 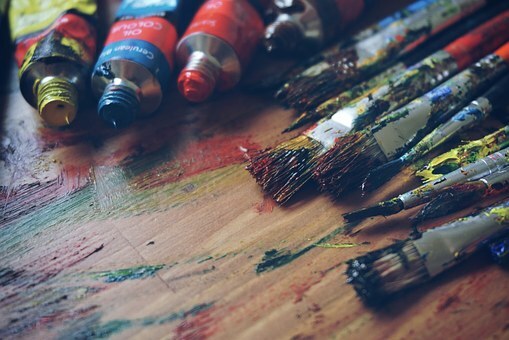 A high concentration of the arts in a city leads to higher civic engagement, more social cohesion, higher child welfare, and lower poverty rates. The arts are fundamental to our humanity. They help us express our values, build bridges between cultures, and bring us together regardless of ethnicity, religion, or age. 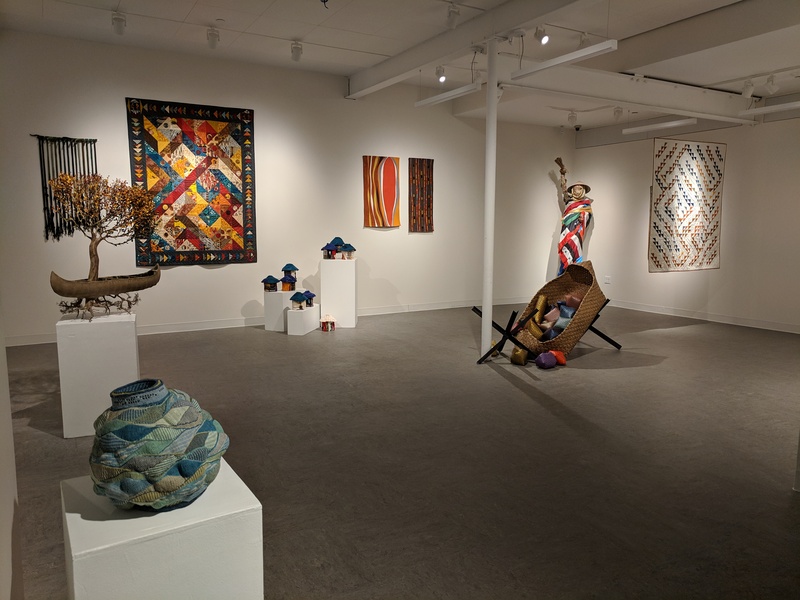 Founded in 1982 as an artists’ cooperative, The Umbrella Community Arts Center today presents multiple forms of artistic expression for the enrichment of citizens of Concord and our surrounding communities. From its beginning as a studio space for artists, the institution has evolved into a multifaceted center for the arts. In 2016, The Umbrella welcomed over 50,000 people who enjoyed diverse theatrical, music, dance, and film productions. 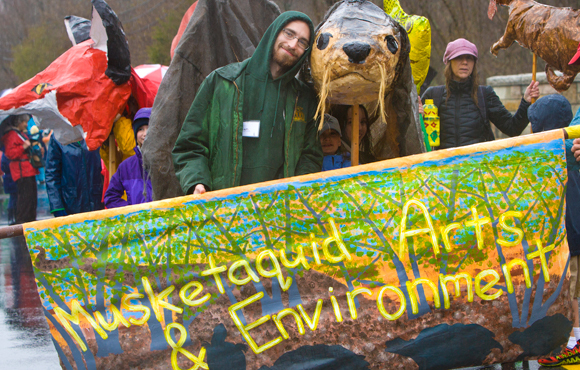 Over 250 classes, workshops and camps served 1,600 adults and children. 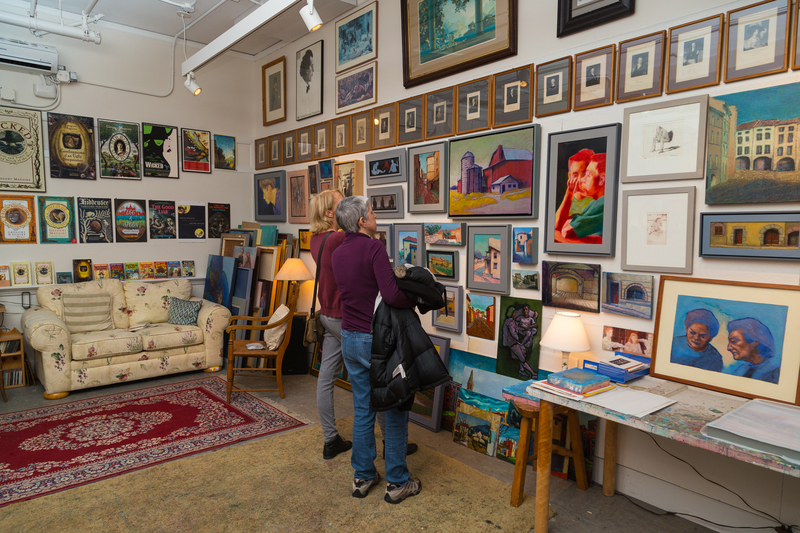 Working artists continue to make art every day at The Umbrella. The Umbrella building began its life in 1928 as the Emerson School, later Concord High School. In 1954, the west wing was expanded to include a new stage as part of the school’s auditorium. By the early 1980s, the structure no longer served school children and was threatened with the prospect of demolition. A visionary group of citizens recognized its potential value as an art center to serve both adults and children. They negotiated with the Town of Concord and established a new organizational model: The building would be retained by the Town while program, operating and maintenance costs would be borne by the new, nonprofit corporation governed by a Board of Directors with day-to-day management by an Executive Director. In 2012, The Umbrella negotiated a new 30-year lease with the Town of Concord. These terms stipulate that The Umbrella must make a $6 million minimum investment to address deficiencies in the building. However, the goal of The Umbrella’s current project is far more comprehensive extending beyond basic system improvements. When completed, The Umbrella will become a compelling cultural destination. The building is ill-suited for the growth and increasing sophistication in educational offerings, theatrical and musical productions, art exhibitions, and film screenings. At 87 years old, The Umbrella’s operating systems no longer meet industry standards. The heating system is antiquated and inefficient. There is no operating ventilation system, making the theater, the studios, the classrooms, and other public spaces unbearably hot in the summer and freezing in the winter. Plumbing installed in 1929 remains in place and has far exceeded its useful life expectancy. Hazardous building materials including lead and asbestos must be removed. Handicapped accessibility is an issue throughout the building, especially at the front entrance with its daunting wall of stairs. One small, slow elevator provides basic service but cannot accommodate a stretcher in case of medical emergency nor any large work of art or theatrical prop. Its current location is a major inconvenience for handicapped individuals. From 2008-2009, the Board retained OMR Architects to conduct a feasibility study to determine the extent of the building’s physical challenges. In 2012-13, OMR Architects developed a Master Plan which included a thorough review of the earlier feasibility study and offered a new plan that called for more comprehensive renovations of the main building and completely removal and reconstruction of the main theater wing. In conversations with the Board, building committee and artists, OMR Architects proposed a plan that envisions a dynamic center for the performing arts, arts education, film, and music anchored by studio spaces for the practicing artists whose efforts in 1982 saved the building from the wrecking ball. This plan was formally adopted by the Board of Directors in 2013. OMR Architects were officially retained as Project Architects in 2016 and a campaign was launched to secure the estimated $20 million necessary to realize the vision. Once completed, the new plan will provide renovated space for the 50+ resident artists and newly constructed space for Arts Education and Performing Arts. The Arts Education program will gain two large classrooms, a multipurpose “maker’s space” and additional flexible space for computer labs, printing and fiber arts. This additional space will allow greater immersion into S.T.E.A.M.-based educational programming (science, technology, engineering, arts and mathematics) by placing greater emphasis on “artist” activities (creative, intuitive, inventive and imaginative). A renovated pottery wing will replace the current space and will become a much safer environment for students and teachers with fully vented and code compliant kilns. The new wing will continue to include both a gas-fired and electric-fired kiln which provide potters important and distinct firing options. The new kilns will be larger to accommodate works of a different scale, allowing the firing of larger sculptural pieces. This additional space will create areas to mix plaster, create glazes and coloring slips and clays. Performing Arts will enjoy two new theatrical spaces – a 350-seat main stage theater and a 100-seat black box theater along with a set design shop, green room and theater support. State of the art film projection equipment will be installed in both the main stage and black box theaters. The redesigned main entry will welcome guests at ground level and feature marketing displays of area cultural programs as well as those presented by The Umbrella. This visitor entry will lead guests into the “living room” conceived as a community gathering space. New landscaping will include elegant circular seating areas in front as well as on the sides of the building and will serve as outdoor exhibit space for the presentation and promotion of public art. Overall, The Umbrella will increase its usable area by nearly 25%. Existing spaces will be reorganized to provide greater transparency, energy efficiency and promote greater interaction among visitors and with resident artists. Programming at The Umbrella already is robust – four to five plays per season, staged readings, Art Talks, nine to ten gallery exhibitions, 250+ classes, summer camp, Grades K – 2 after school programs, Open Studios, Winter Market, concerts, film screenings, Earth Day, First Thursdays and so much more. A renovated building won’t diminish the number, but it will attract better quality teachers and performers, drawn to be a part of something new and successful where they can make their own mark. It will allow greater diversity in educational offerings and enable greater linkage among subject areas. Students will be able to apply their drawing skills to creative projects in the computer lab. 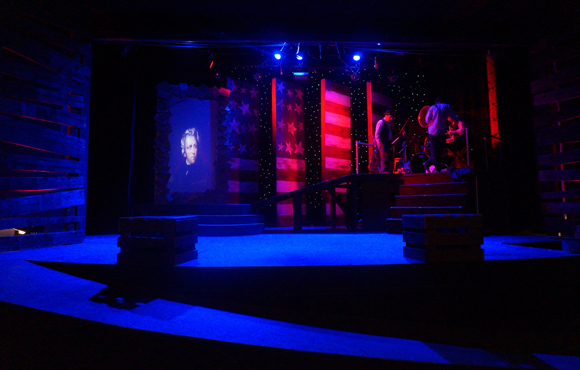 Performances now limited by the cramped and outdated stage will be enhanced by state of the art sound and lighting and enable the construction of larger, bolder sets. With both a Main Stage and Black Box theaters, a play’s run can be extended. The creative team at The Umbrella will have more opportunities to diversify programming to provide more options for our audiences. With additional, flexible classrooms Arts & Environment will have the opportunity to diversify its programs for different constituencies. The new landscaping plan will create indoor/outdoor teaching spaces enabling this program to bring its practice of observation – reflection – creation to the site. Larger, better lit exhibition spaces will allow The Umbrella to organize higher quality exhibitions which in turn will attract larger audiences and set the stage for presentation of symposia and other community programs on issues such as the role of creativity in our economy, society and education.